After a six-year stint in graphic design, Luke Ebbutt James retrained as a furniture maker. He now specialises in handmade, highly crafted bespoke and short-run pieces, all of which are finished by hand using traditional methods and tools. This means each piece is unique and bears the imprint of the maker’s hands. It is this originality that earned Ebbutt James a fellowship of the Royal Society of Arts (RSA). He established his business in autumn 2017. His first product range is the Parallax series, a set of three pieces – a console table, a floor lamp and a mirror – launched at the London Design Fair 2017. 1. Lunar floor lamp: This lamp plays on the idea of perspective. Its legs are designed to look as if they defy gravity. They lift the eye and seem to float off the ground. The shade gives off a cool, calm light, reminiscent of a full moon. 2. 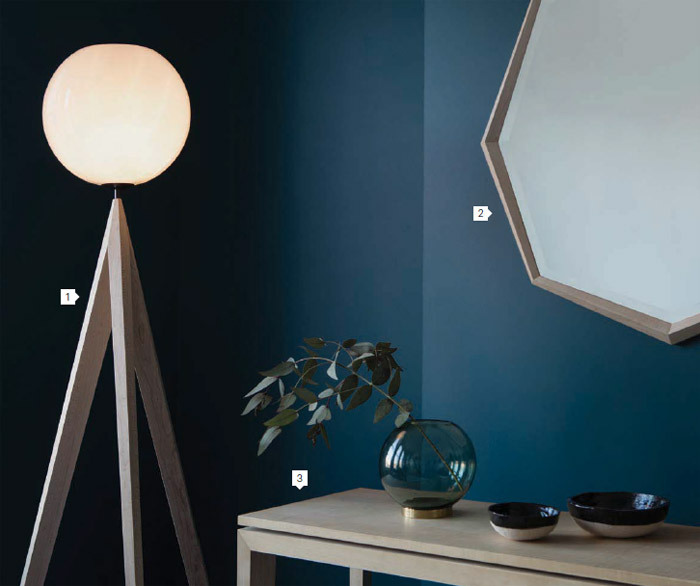 Stellar mirror: The irregular bevels of the mirror and the frame give an illusion of a star’s glinting and flickering light. The bevels refract the light so the viewer will see the spectrum split – much like flickering stars in the night sky. 3. Solar table: Employing both contemporary and traditional elements, this table incorporates the triple mitre, a traditional Oriental technique, which is widely considered one of the hardest joints to perfect.